Last October 2, the United Nations Development Programme (UNDP)held a Blogger Forum last their Makati Head Office. Part of the agenda were discussions on Climate Change Adaptation, Food Security and Nutrition. UNDP Country Director in the Philippines, Mr. Toshihiro Tanaka, gave a summary of what his organization hopes to achieve in the coming years. Mr. Praveen of the United Nations World Food Program (WFP) shed light on the chronic hunger problems that beset the world. In the Philippines, he mentioned that there is 1 hungry person out of 4. There are a lot of low income Filipino families who want to make healthy meals but are struggling to do so. Hence it is important to disseminate information on what the WFP’s life-saving global food assistance can do to alleviate this problem. WFP is the world's largest humanitarian agency fighting hunger worldwide. In 2010, WFP aimed at feeding more than 90 million people in 73 countries by uniting organizations and individuals committed to solving world hunger. Aside from providing food to hungry food, WFP also implements nutritional programs, maternal health care education and fosters medical assistance to HIV/AIDS patients. In time of calamities and man-made disasters, WFP also provide quick food distribution and emergency logistical support. 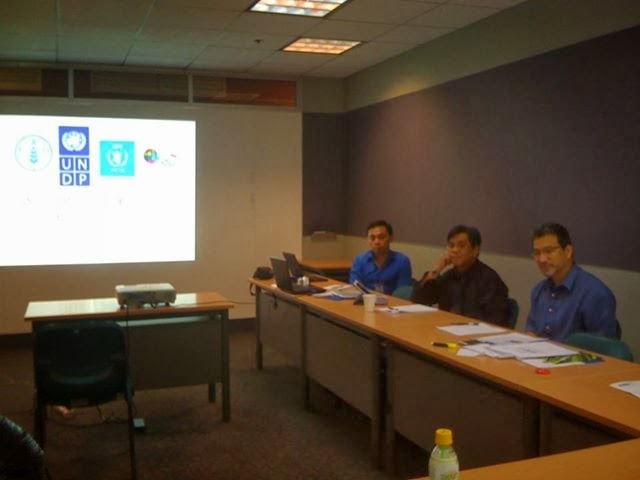 Armed with statistics, Mr. Aristeo A. Portugal of Food and Agriculture Organization (FAO), explained what their agency is targeting in line with the Food Security thrust of UNDP. Climate change affects our farming activities and this poses a threat to our Food Security. In the Philippines, just like the rest of the world, family farming is encouraged in order to ensure human right to healthy food. The right to quality food is an inalienable right of all citizens. To ensure this, the Philippine government together with private organizations and partners join hands in creating appropriate conditions for the local population to enjoy this right. By driving towards expanded sustainable production, Zero Hunger 2015 will be within reach. UNDP calls for relentless effort among the locals to eradicate hunger from the Philippines. The participation of Philippine society will be a key element to address hunger and poverty issues that beset the country. 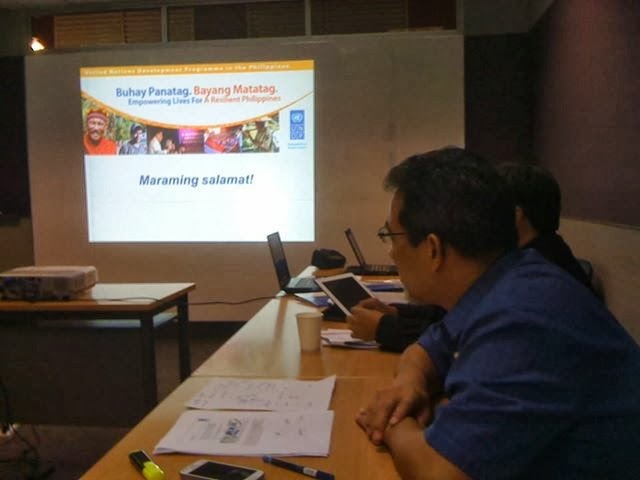 UNDP seeks to the involve civil society to commit them to action as part of its food security mobilization process. UNDP builds partnerships that enlist experts in food security, research institutes, private companies and individuals to advocate policy changes needed to achieve goals. This way, all can work together to support initiatives aimed at improving the living standards of poor farming communities in the Philippines. The third leg of the Bloggers Forum is set on October 16th. Come join in UNDP chat with the ILO Director (Lawrence Jeff Johnson) on youth employment and with the UNAIDS Country Coordinator (Teresita Bagasao) on HIV/AIDS at the ILO Conference Room. If you want to know more on how you can support UNDP initiatives and programs, do visit the UNDP Facebook page. You may also follow them on twitter to get more information and updates. Sadly, it is. I hope that UNDP is sincere in reaching out to grassroots. I hope so, too. Sadly, in my province, hunger is prevalent among many children. They go to school without having breakfast. I hope there will be more opportunities for work in the countryside so parents will have means to feed their families, and also so that cities will be decongested. UNDP will be endorsing "food for work" program in the countryside. We also discussed about the possibility of looking into "farm to market" activity to help farmers in the long run. The effort of UNDP reasserts the fact that poverty and hunger still exist and still very prevalent in the country. I wonder why these filthy congressmen are advocating an anti-obesity campaign, when in fact we still have existing issues with hunger. Funny how some government officials remain blind to the pressing needs of Filipinos. They should go to the suburbs and see that not all people can afford 3 meals a day! There is an existing problem with hunger and one has to be emotionally blind not to feel it. I hope these initiatives will produce positive results. Hope you can join and help spead the "good news". It is disappointing that even local farmers don't have access to the rice they till because they owe it to the money lenders even before the crops are harvested. I hope all Filipinos would soon have access to good, healthy food. Im just glad that there are still organizations who show real concern to our fellowmen. Solutions to create more jobs and eradicate hunger must be a priority. Like you, I am looking forward to the time when UNDP rolls out its plan.